Manchester United will be desperate to taste victory after the debacle that occurred midweek against Bristol City, which saw them ousted from the Carabao Cup. 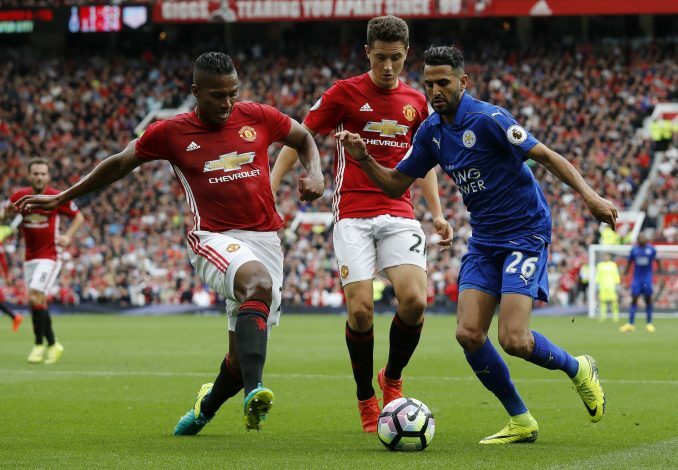 In the Premier League, it is Leicester City that they face at this crucial point in the season, and the outing is one where they simply cannot afford to lose points. A defeat would not only make it next to impossible for them to cover up the eleven-point difference to first-placed City, but could also jeopardize their spot in the second place with Chelsea at close heels. The Foxes have the rare winter advantage of not having any injuries apart from Matty James and Robert Huth. However, this does not reflect well on their run of games, as the 8th-placed team has lost its last two games on the bounce, albeit one being a penalty defeat to Manchester City in the Carabao Cup. As of such, Clause Puel’s lads will be looking to get back to winning ways and continue the significant improvement they’ve seen since the departure of Shakespeare. Against United, they will see the return of Nigerian youngster Onyinye Ndidi, who has served his one-game ban following his birthday red card against Crystal Palace. The Red Devils will finally see the return of Paul Pogba, who has served out his domestic suspension following the red card that saw him miss out of the Manchester derby, and it is his absence that has reflected the most through the team’s lackluster performances. Despite playing against Bristol and still losing, the Frenchman will be vital in ensuring that Mourinho’s side is able to take home three points. Antonio Valencia suffered a minor knock in their last Premier League encounter, and thus had to be subbed off for Marcos Rojo against West Brom. As things stand, the Ecuadorian is still in some doubt for the weekend fixture, and knowing Mourinho, even if there is a slight chance of injuring his captain, he won’t risk it going into the crowded spell of nearly four games in nine days. Apart from that, Michael Carrick and Eric Bailly will assuredly not play a part in the match while it is still doubtful whether or not Fellaini will make a return to first-team action. Up front, Lukaku is apt to continue his antics instead of Zlatan Ibrahimović, and due to Rashford’s unfruitful spell in the Cup, it is likely that Martial will be given the start.